The Scott Kelby Tethering Kit combines all of Scott’s favorite Tether Tools products into one ultimate kit. 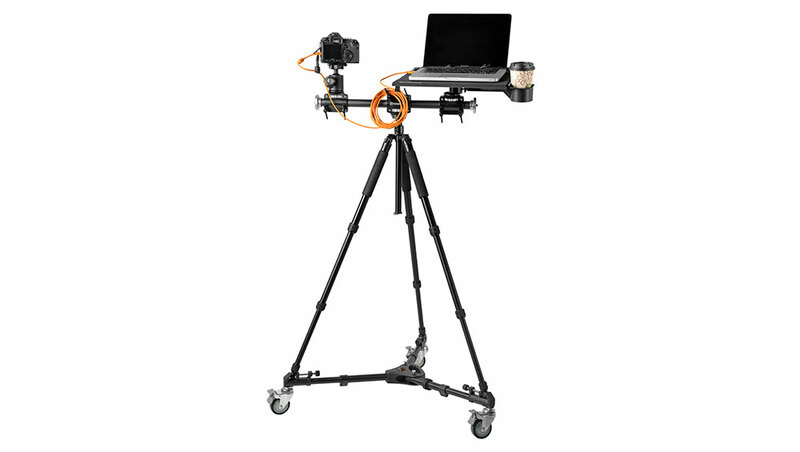 From the portable, yet stable Tether Table Aero to the high-visibility orange USB TetherPro Cable, these products are everything you need to create your ultimate tethered workstation for shooting in studio or on location. 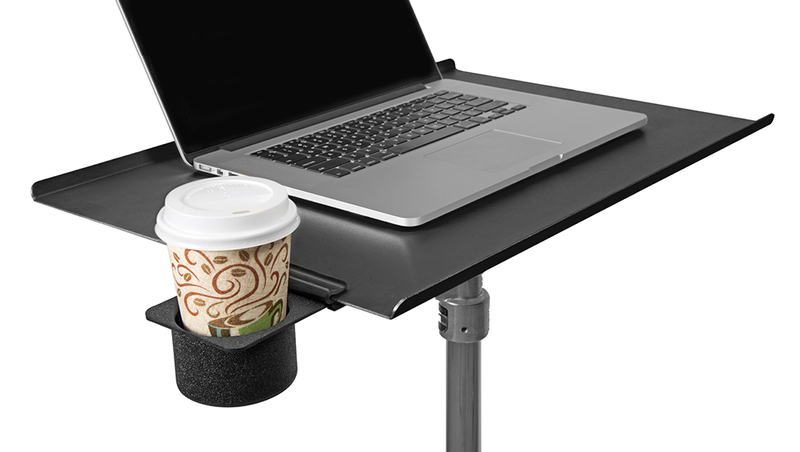 Quite possibly Scott’s favorite Tether Table accessory, the pop-out cup holder conveniently attaches to the Tether Table Aero to hold beverages, small tools, or even a cell phone. 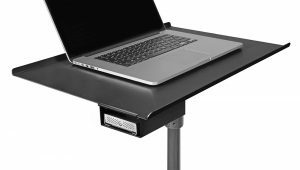 The cantilevered design attaches to the side of the table and tucks away nicely when not in use. Extra hard drive space! The Aero XDC + XDC Duo (eXternal Drive Compartment) allows you to attach external hard drives to your Tether Table Aero without taking up valuable space on the platform. Enjoy all the benefits of immediately backing up your work to external hard drives without having to worry about where you will put them. A clean, organized, and safe environment keeps cables, cameras, and everyone on the set protected. 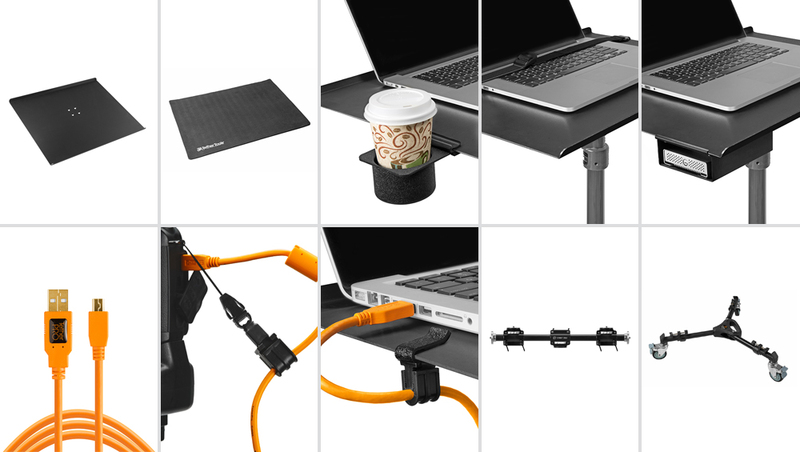 Keep cables organized and securely attached with Tether Tools’ JerkStopper cable management tools. 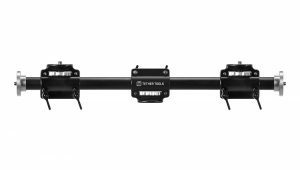 Featuring all metal construction, the Cross Bar lets you mount your Tether Table Aero on the same solid support as your camera. Shoot from the ballhead or shoot hand held and use the ballhead as a place to set your camera down when you’re not shooting.